Stoney Plains Organic Farm is the realization of Robert and Patricia Meyer’s long-held dream to make a wide variety of locally grown organic produce available to the community. Now a 60+/- acre organic farm run by Patricia and her son Patrick, along with multiple other family members including grandchildren, the dream began on a small scale, decades ago. Brought to the Olympia area from St. Paul, MN, in 1978, by job relocation, Robert and Patricia put in a 60’ x 80’ garden in Lacey. From this beginning we eventually progressed to 10 hand-tilled acres in Tenino. 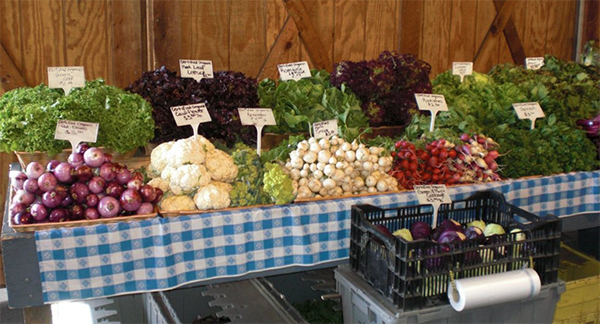 In 1978 we began selling through the Olympia Farmer’s Market and are proud to continue to do so throughout the year. Through hard work, determination, a strong work ethic, and a commitment to making healthy local food available in communities, we, the Meyer family members proudly continue to make our Dad/Grandfather’s dream come true.